I’ve been reading cards since my college years at UCSB – over 40 years. What started as a mild interest blossomed into a serious study of Tarot and Oracle cards. I enjoy helping you discover inspired answers through the poetry of Tarot, Oracle, Lenormand and playing cards. 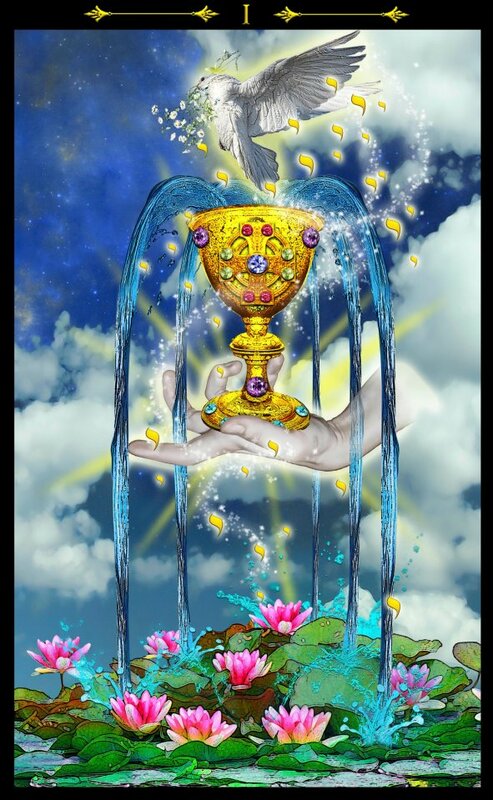 I am a Certified Tarot Card Reader through the Tarosophy Tarot Association, Certified Tarot Card Reader, Oracle Card Reader and Angel Intuitive through Doreen Virtue LLC and Radleigh Valentine. I will read from Tarot, Oracle, Lenormand or playing cards for you in person, via Facebook Messenger Video, Skype or email. In the Santa Barbara or Ventura area I will read for you in person at your choice of our offices, your office, home or a convenient coffee shop, park or other place. All we need is a private space and we’re in business! I will read for you and your friends at a party or event! Book a reading! Just click on the Book a Reading tab above for directions. Also, check out our Blog and FAQ pages. If you have any questions please email, call or text me. I am here to provide you with inspired answers! To subscribe to our email list, click here.